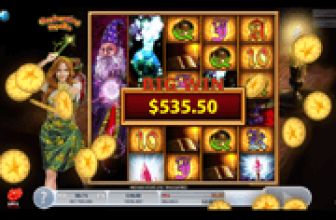 In the world of online gaming, it is never necessary to wait till the appropriate time arrives to enjoy a seasonal themed slot machine, this is why we offer you this amazing 1×2 Gaming slot machine, that has a Christmas theme to it right here and right now. You can get to play it for free without having to wait for Christmas to come. The game is all about that festive season with many cookies, sweets and gingerbread delicacies spinning in the form of symbols on the reels of the slot machine. So get ready to enjoy some tasty snacks that come with many high paying prizes through this 5 reeled slot game, Gingerbread Joy, spin the reels, earn the rewards and spread the joy. Gingerbread Joy is a game of really high quality, which is clear from the amazing animations and the realistic looking icons that would appear on the reels of the game, giving players plenty of rewards. The symbols that are going to appear on the reels include gingerbread Christmas tree, the gingerbread monster, gingerbread cookies, heart shaped sweets and much more, what all of the symbols have in common is that they are made out of Gingerbread. The sounds that players are going to hear during the game play are highly affected by the theme of the game as they are inspired by the Christmas festivities. 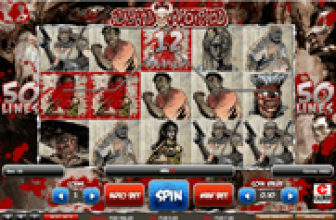 The game has 5 reels that host the 25 lines that the game offers for players to place their bets on. Players can view all of the different lines that the game has and their location on the reels by clicking on the show win lines button under the reels. As for placing the bets, this is done with ease as players toggle through the betting options that the game has, they include the number of bet lines players wish to activate, the value of the coins and lastly, the number of coins on each of the lines. 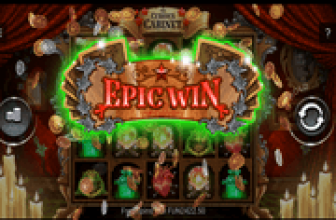 It would not be a 1×2 Gaming powered slot without a great set of special icons and bonuses. The first special icon that the video slot machine has it represented by none other than the wild heard shaped gingerbread cookie. This wild icon would replace all other non special icons on the game’s reels to help players form a win. There is also the star shaped scatter gingerbread cookie that would trigger scatter pays and activate free spins, during which, there is the Gingerbread man symbol that can give great pays and they do not have to be matched on payline. Gingerbread Joy is a 5 reeled ,25 lines video slot machine that has a lot to offer to players, starting from a Christmas themed and a fun experience, to many rewards and bonus features for players to take advantage of. Next Rugby Star Arrives at Online and Mobile Casinos!